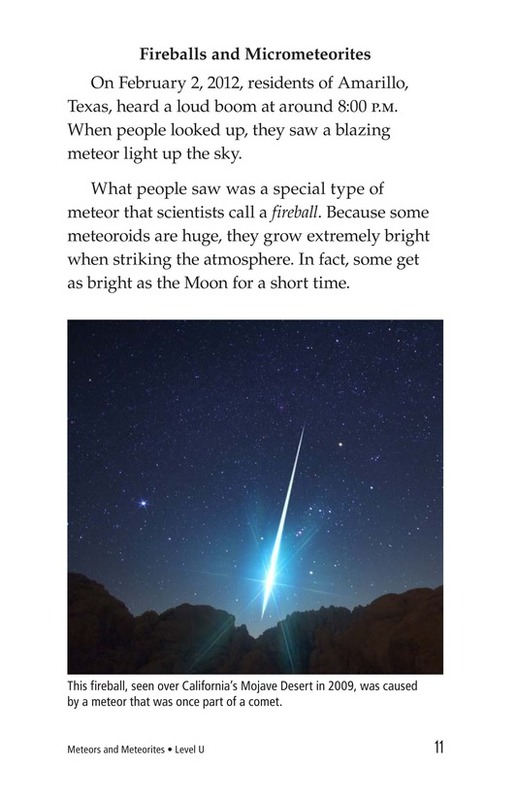 Have you ever seen a shooting star? 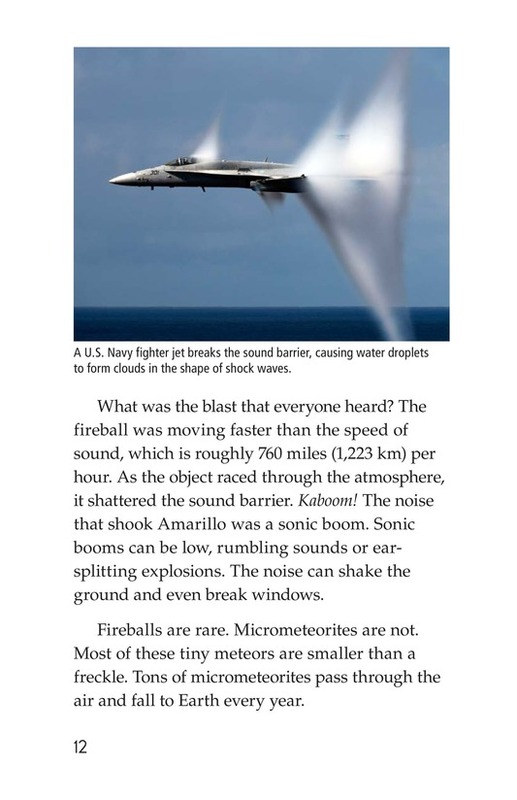 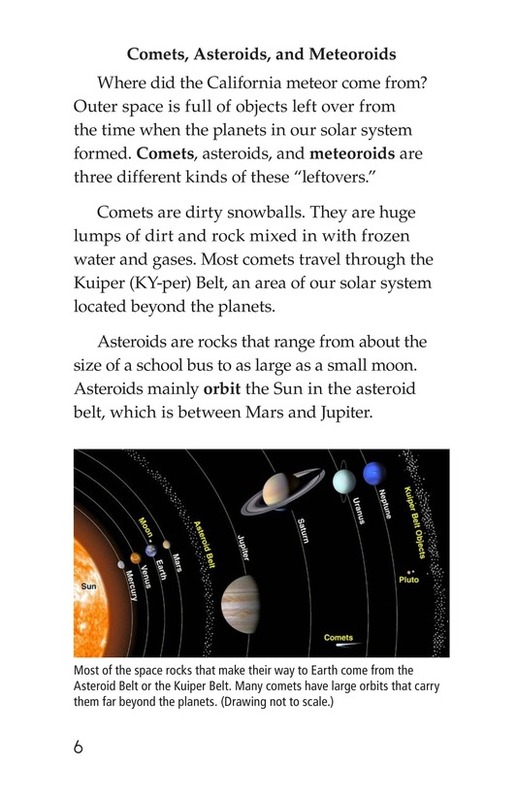 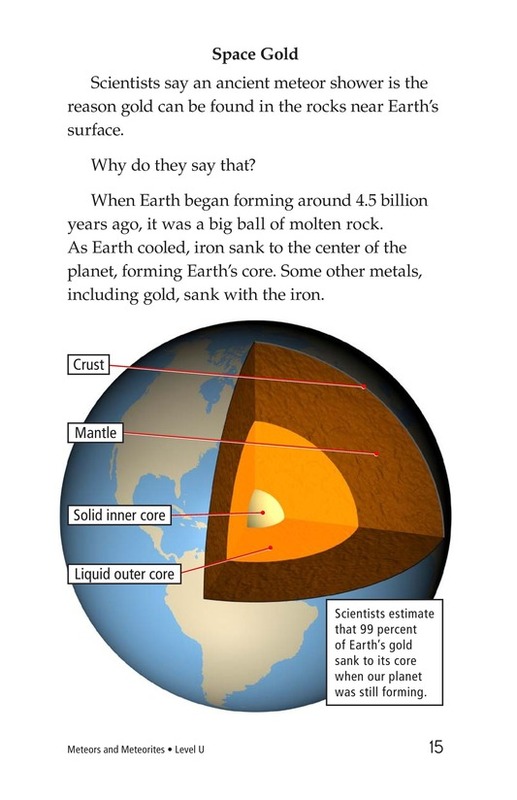 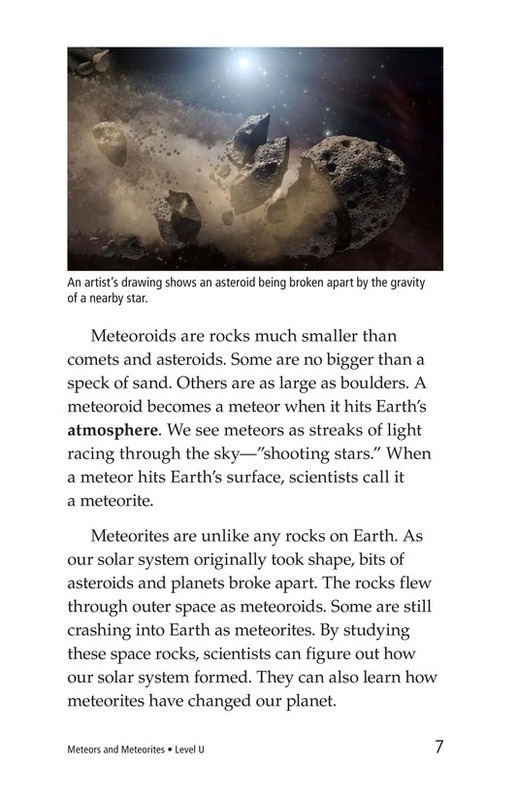 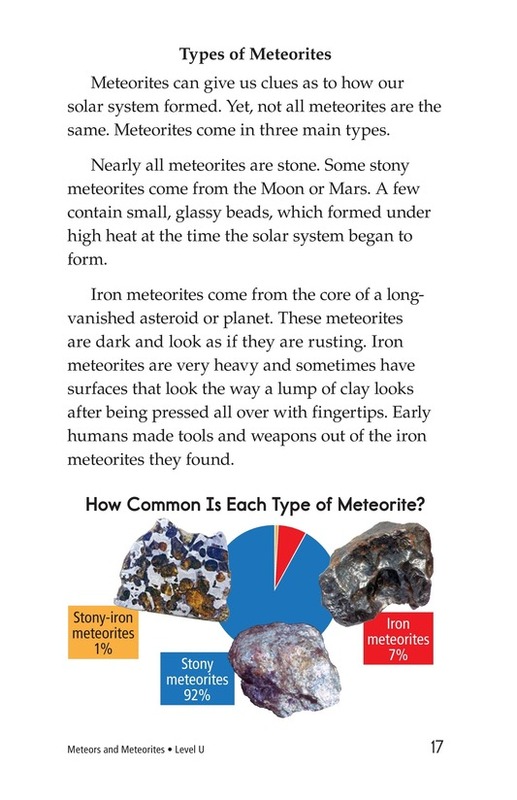 This informational nonfiction book explains where space rocks of all shapes and sizes come from. 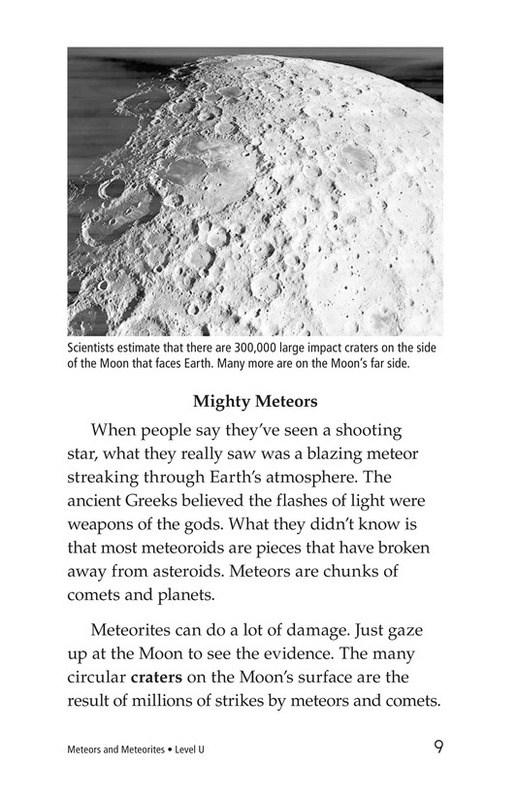 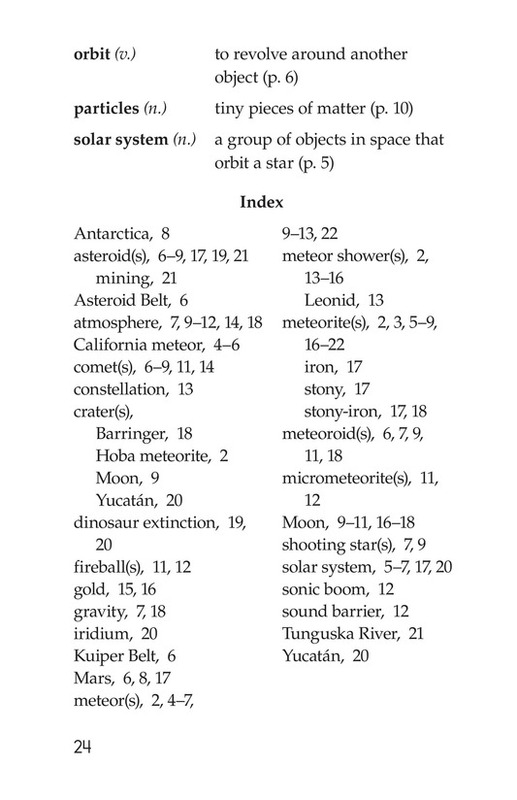 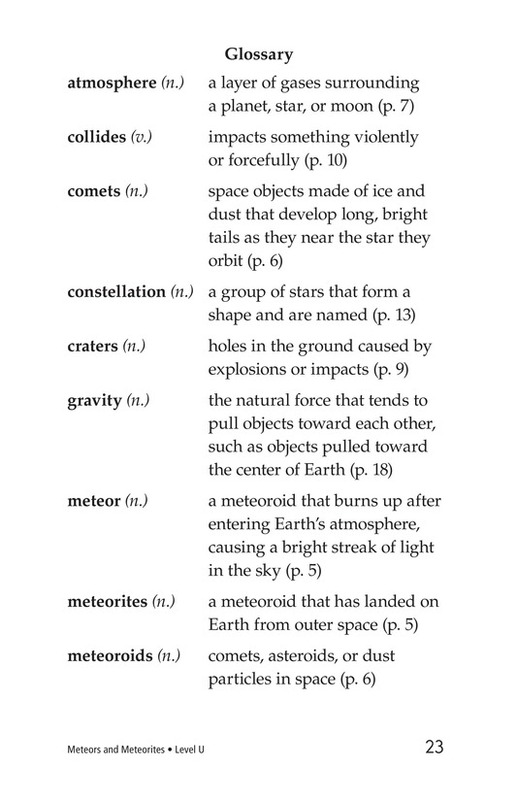 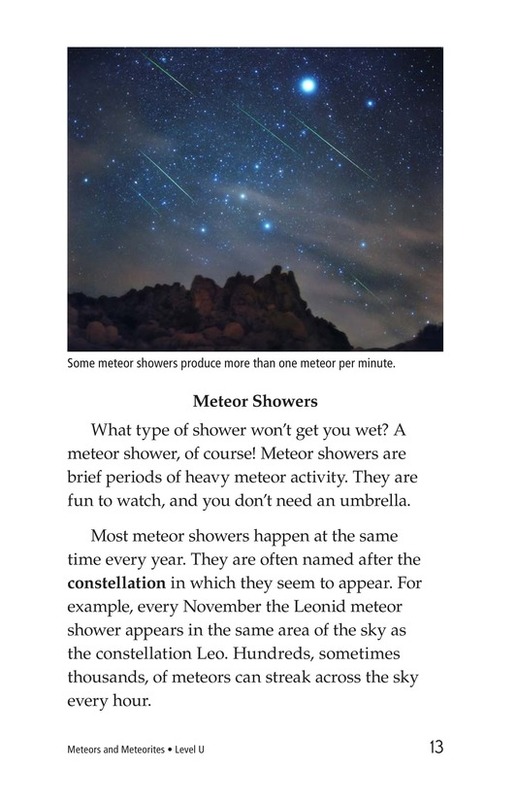 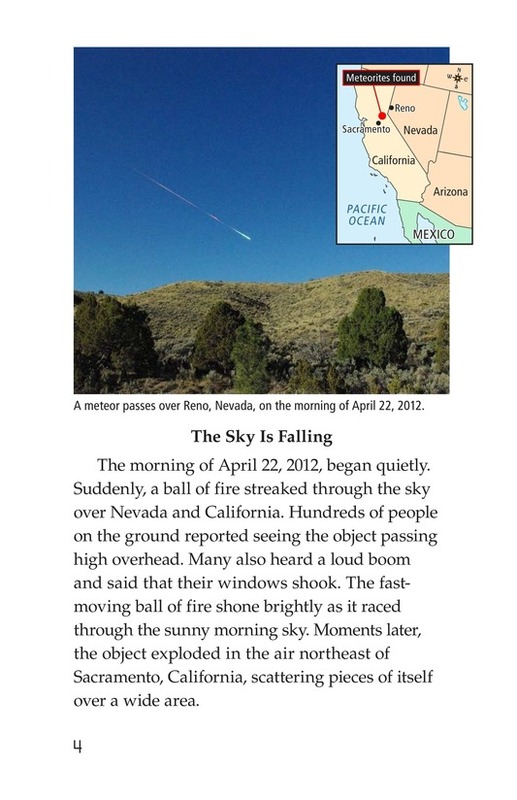 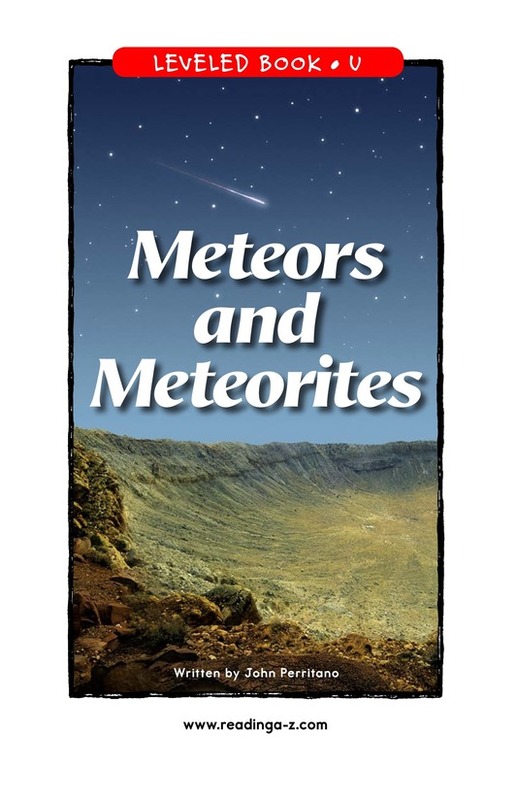 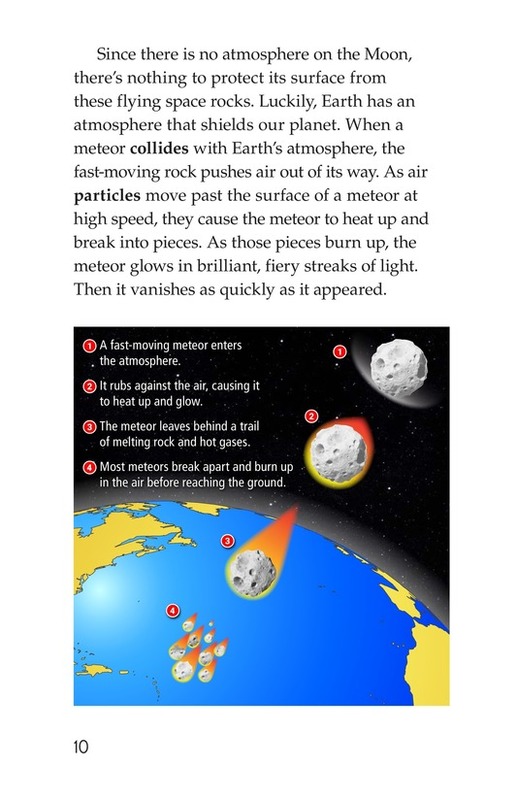 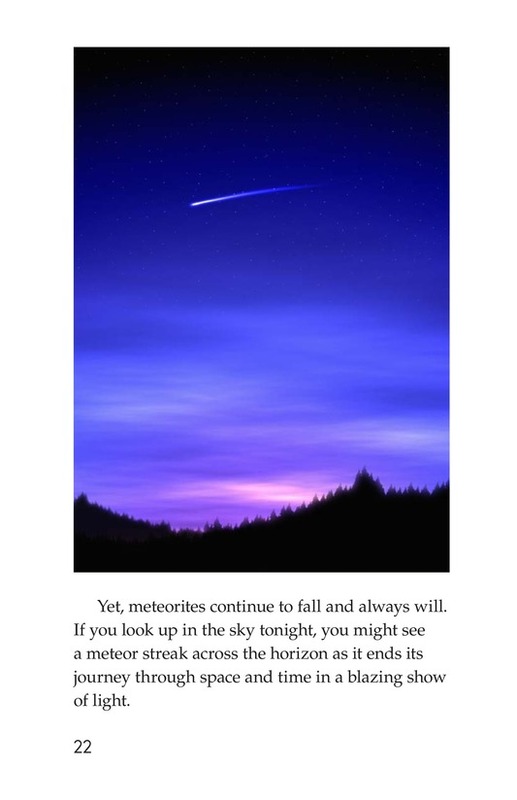 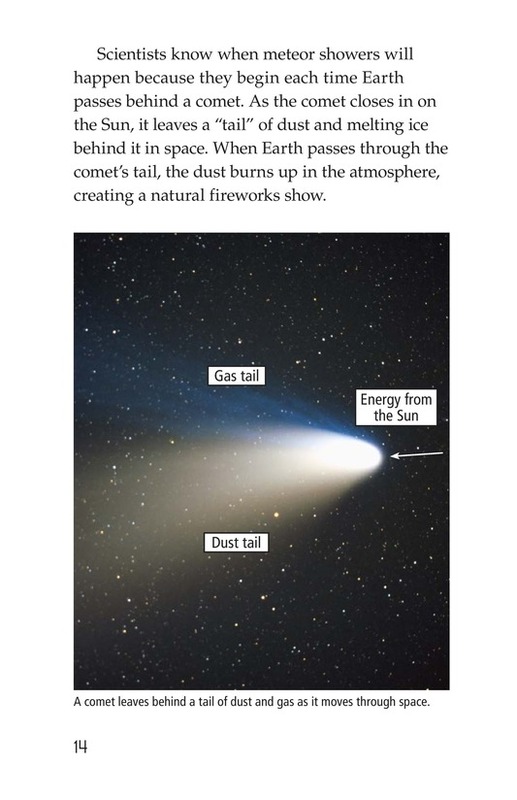 Meteors and Meteorites also looks at the similarities and differences among comets, asteroids, and meteors. 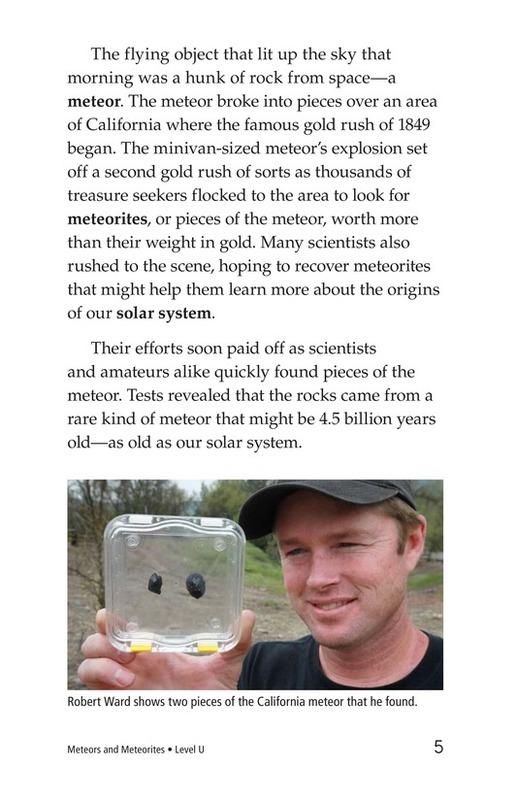 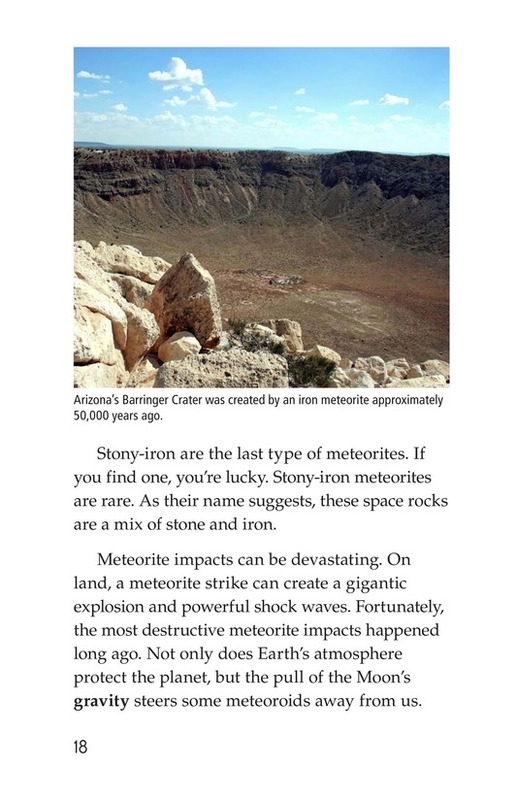 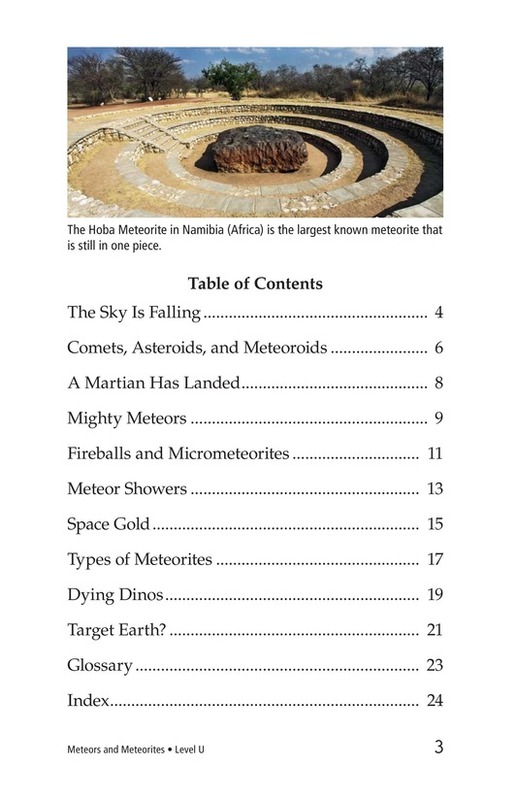 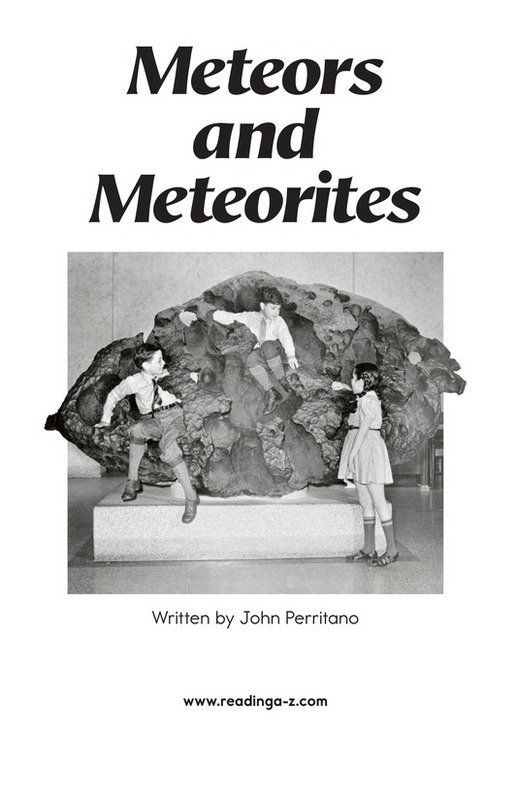 The author includes interesting examples of meteorites found in different places on Earth-including some that are billions of years old. 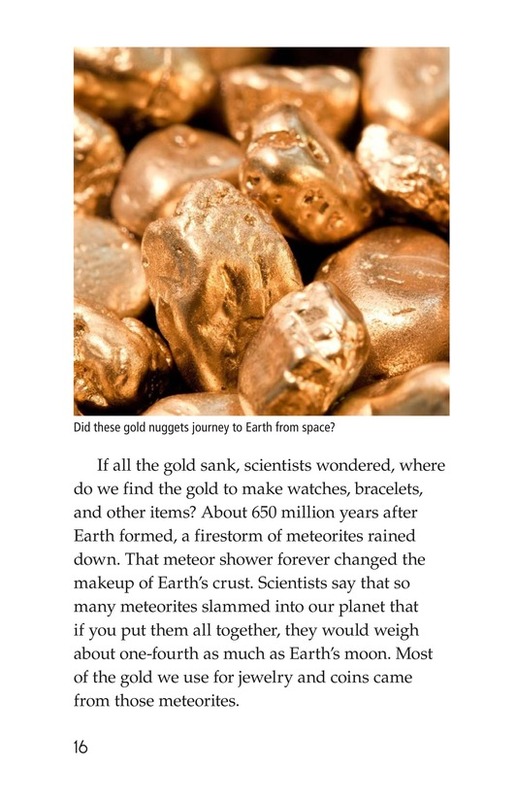 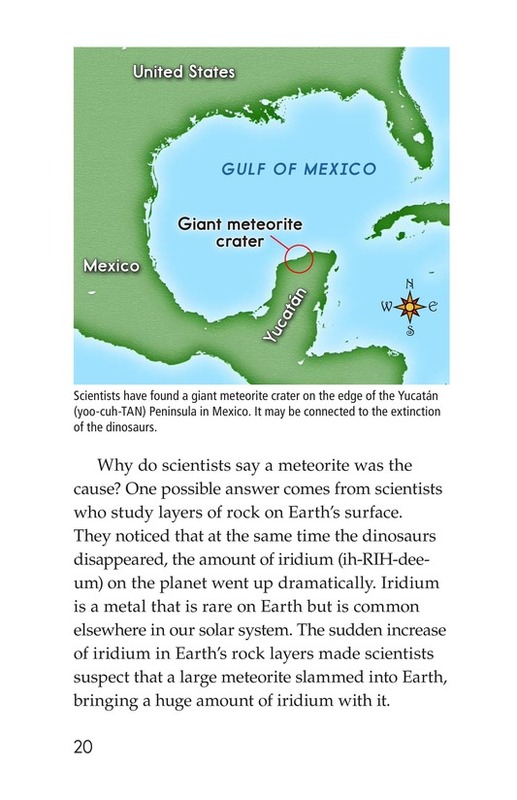 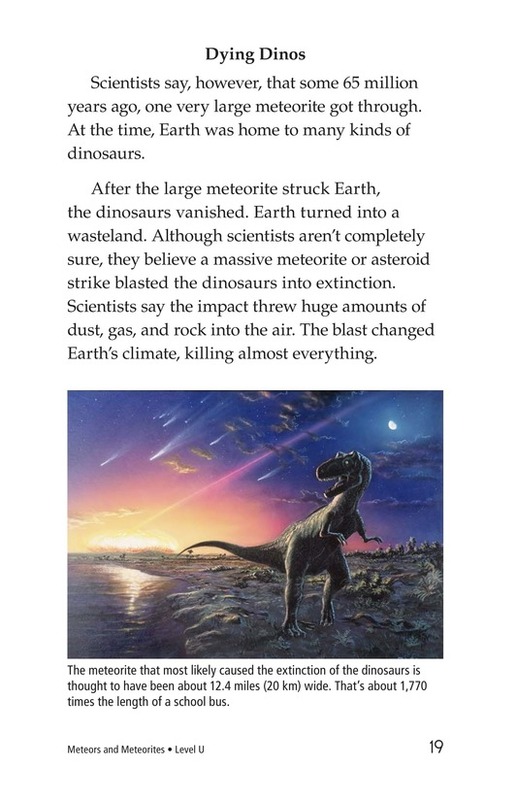 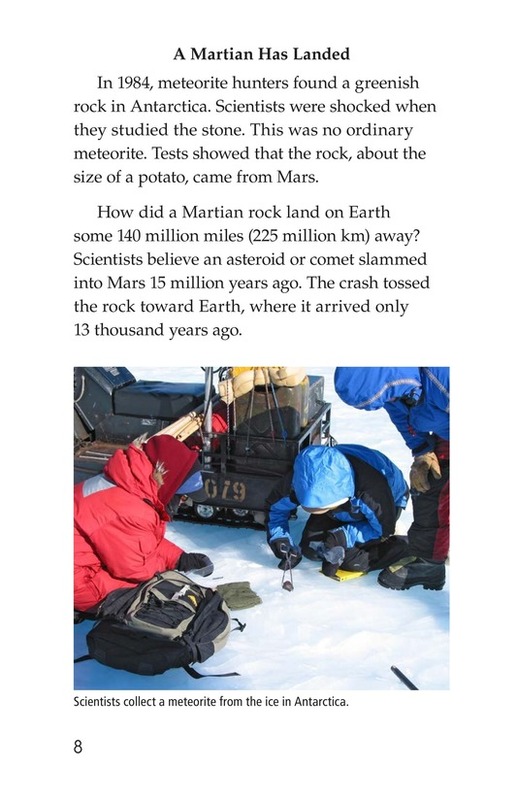 The book also explains why one giant meteorite is believed to have caused the extinction of the dinosaurs. 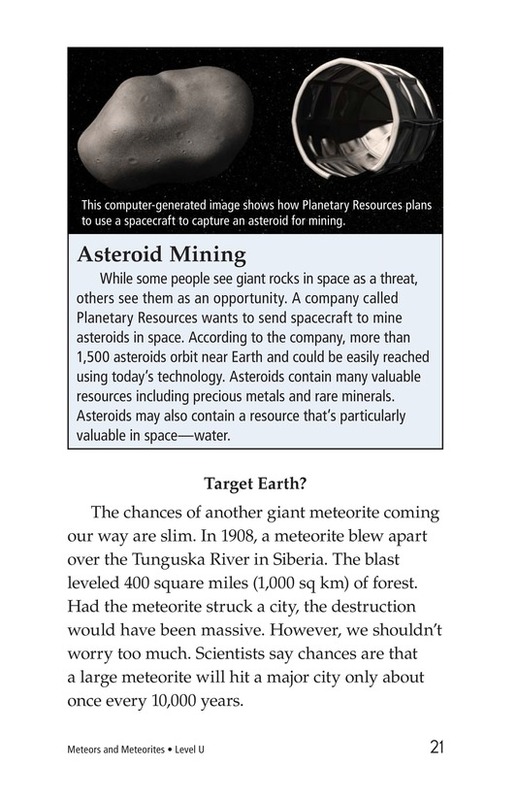 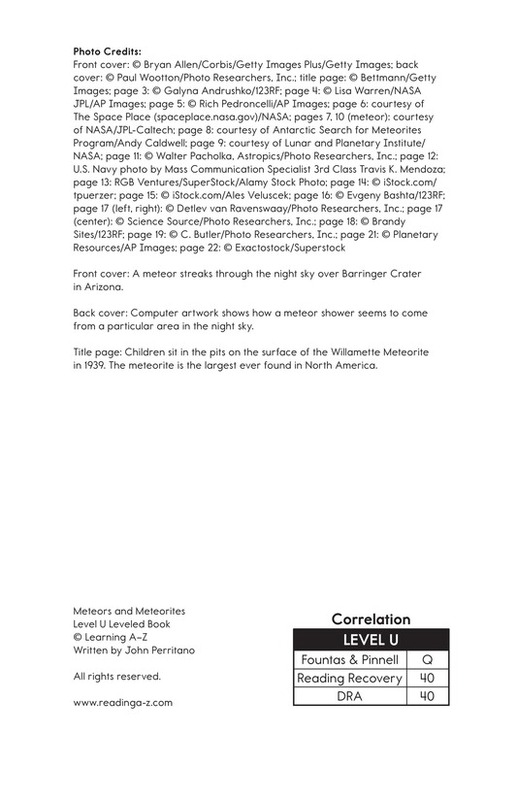 Photographs, maps, and diagrams support the text.